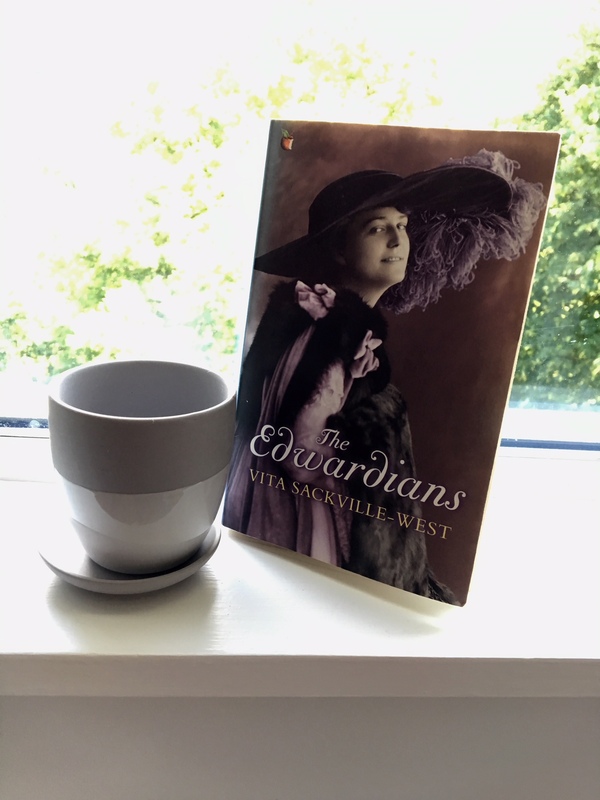 This entry was posted in English Literature and tagged The Edwardians, Virago Modern Classics, Vita Sackville-West by Simon Lavery. Bookmark the permalink. Absolutely, Mary. It would be the ideal companion for a sunny day al fresco. I understand that one of the characters in “The Edwardians” is based on Alice Keppel. Does she receive fair treatment? Romola Cheyne in the novel is based on Alice Edmonstone Keppel, mistress of Edward VII between 1898 and his death in 1910. Apparently she was a great beauty and very charming. The Cheyne character hardly features in the narrative. She’s there in the opening scene at the weekend house party, subject of the fluttering gossipers viewed with such disdain by Anquetil when they talk about people’s money: she ‘had made a big scoop in rubber last week – but some veiled sneers accompanied this subject, for how could Romola fail,it was asked, with such sources of information at her disposal? Dear Romola: what a clever woman. And never malicious, said someone. Then they passed on…’ As VG says in the introduction, she ‘erred with a certain magnificence’, and her royal affair is ‘archly hinted at’ with expressions like ‘it was in the highest quarters’ that she dallied. So not really “fair treatment” – just another target for the malevolent gossip of the socialites, whose envy of her success and discretion is singled out for satire, rather than Keppel’s morality. Interestingly, as you no doubt know, she was the mother of Alice Keppel Trefusis, who became one of Vita’s lovers and shared a passionate, stormy affair with her, even when both were married. It’s the Lady Roehampton character, Sebastian’s beautiful mistress, who’s given most attention. She ‘looked exactly like her own portrait by Sargent, which had been the sensation of that year’s Academy’. I wonder if Vita had in mind the notorious portrait of Madame X (Gautreau) exhibited first in Paris in 1884. For Lady R is Sebastian’s mother’s contemporary, so old enough just about to have been such a model. But of course there are countless other subjects painted by him. VG says this character is based on the famous society beauty the Countess of Westmorland. I don’t think Sargent did a portrait of her (quick search online) but he painted plenty of other duchesses and the like. Thanks for the shout-out. I did love this but for its context as much as for its content, so to speak. Most welcome, Liz. I enjoyed your posts on VSW. As you say, it’s the searing indictment of depraved ‘society’ that’s the most powerful aspect of this novel. But the deep feeling for the Chevron estate is also a factor. She’s oddly conflicted in her love of that feudal tradition and all it represented in terms of the great country house, but despised the venal characters who inhabited and visited it. An interesting review as ever, Simon. While the context is a little different here, I couldn’t help but think of Edith Wharton’s society novels as I was reading your review of this novel – particularly the hypocrisy and duplicity that exists within the upper echelons of this world. Thanks, Jacqui. I think you’re right about Wharton and her (mostly New York) socialites. They have the same obsessions about money and wealth, but the English version seem more duplicitous, somehow, because of their snobbish sense of privilege and superiority conveyed by family name or aristocratic titles or connections. Personal merit or integrity had nothing to do with their admiration (or feigned admiration; mostly they adored only themselves). A pretty gruesome bunch, in VSW’s portrayal – more caricatured I think than EW’s? I did multiple entries on this one too – four! But that’s because the clothes in it were so good and so important. I agree with your verdict – slips down easily, entertaining enough, but no solidity or depth is how I think of it. But absolutely chock-full of fascinating sociological details of the time. Moira: she has a terrific eye for the clothes of her characters. The scene in which the Duchess’s maid dresses her for dinner is priceless, and revealing in so many ways! It’s interesting how in those days of back-fastening stays and bodices, a lady couldn’t possibly dress herself on her own. I enjoyed your review! I found the novel really enjoyable, and perhaps a little less caricatured than you did – maybe because I thought she conveyed the longing for and love of place so convincing. I think VSW has been underrated as a writer by everyone from the Woolfs onwards, and I’m pleased to see more people writing about it her now. Simon: thanks for taking the trouble to add your thoughts – and maybe because I devoured this highly readable novel so quickly I gained a misleading impression about its superficiality; much of it is to do with the superficiality of the characters – always a difficult line to tread. That sense of place is particularly strong: Sebastian’s connection with Chevron is visceral and genuine – one of his most redeeming features. And yes, I think the Woolfs were a bit sniffy about her – and they didn’t object to the revenues that poured in on the sales of this best seller! Thanks, Karen. It knocks spots off Downton, which I never enjoyed on TV. In this novel the snobbery is ridiculed and attacked; Downton, to my mind, revelled in it just a little too much. At least VSW had an agenda and stuck to it, commendably.